We are a leading Manufacturer of drilling fluids, mud chemicals, polymer viscosifier, drilling mud additives, drilling mud chemical and high performance drilling foam from Chennai, India. Drilling fluids are regarded as heavy, viscous fluid mixture that are used in oil and gas drilling operations for carrying rock cuttings to the surface and also for lubricating and cooling the drill bit. The drilling fluid, with the aid of hydrostatic pressure, also prevents the collapse of unstable strata into the borehole and the intrusion of water from water-bearing strata that may be encountered. Chemtex Speciality Limited is an ISO 9001, ISO 14001 and OHSAS 18001 certified manufacturer and supplier of Drilling Fluids. We have been in this field of chemicals for over a period of 40 years and we will continue to extend our services towards enriching the circadian operations of other industrial sectors. Mud Chemicals or Drilling Fluids are used to help drilling of boreholes into the earth. Often during oil and natural gas well exploration, drilling rigs. 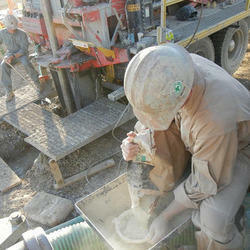 Liquid drilling fluid is often called drilling mud. An active mud chemical system includes a volume of liquid that is pumped from the surface pits, through the drillstring leaving at the bit, up the annular space in the wellbore, and back to the surface for removal of the solid parts and upkeep medications as required. The limit is controlled by the apparatus size and determination which is dictated by the well outline. Cleans the entry by transporting penetrated cuttings to the surface, where they can be mechanically skimmed off before recycle. Adjusts or conquers arrangement weights in the wellbore to minimize danger of well-control. Supports and balances out the dividers of the wellbore until packaging can be set and established or openhole-finish gear can be introduced. Counteracts or minimizes harm to new formation(s). Cools and greases up the drillstring and bit. Transmits torque to the bit. Permits data about the creating formation(s) to be recovered through cuttings examination, logging-while-penetrating information, and wireline logs. Chemtex offers a broad range of polymer viscosifiers intended to expand the consistency of water, oil, and chemical based drilling liquids. 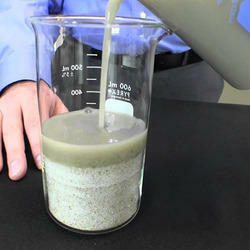 Chemtex’s polymer viscosifier is used as a viscosifier and suspending agent in drilling fluids. It increases system density and viscosity that helps control the High Pressure/ High Temperature ratio. It also enhances the emulsion stability. We provide an assortment of mud, polymer, and bio-polymer viscosifiers to enhance borehole cleaning and solids-suspension abilities of drilling liquids. A wide number of polymers have discovered use inside the oil field industry. Their ranges of utilization incorporate drilling and consummation, production improvement, establishment, loss reduction, bore-well relocation operations, and in moisture and scale control. 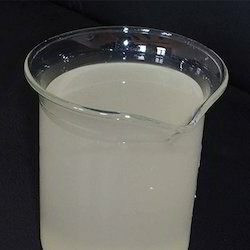 Polymer additives such as viscosifiers are utilized as a part of drilling fluids for granting alluring rheological properties and filtration control abilities. The polymers chose for use in supply drill-in liquids are significantly more specific, as they ought not render any damage to the objective production and must comply with easy removal amidst the well consummation process. Improving the application of polymers in their little molecule transporting capacities is an expanding need for successful bore-well cleanup. 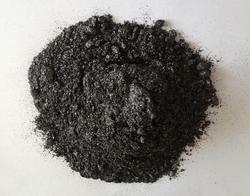 Partially hydrolyzed polyacrylamide or PHPA in short serves as a polymer for drilling mud additives. It is a high molecular weight polymer that helps in controlling the fluid loss and increases viscosity and reduces friction. It can be used as a flocculant, dispersant, lubricant, blocking agent, well drilling mud raw material or fluid loss additive. Chemtex Speciality Limited is an ISO 9001, ISO 14001 and OHSAS 18001 certified manufacturer and supplier of Drilling Mud Additives. We have been in this field of chemicals for over a period of 40 years and we will continue to extend our services towards enriching the circadian operations of other industrial sectors. Can be used in both industrial and oil / gas drilling. Can be used in both fresh water and brines but requires high temperature. Applicable in: viscosities, friction reduction, fluid loss control and lubrication. PHPA (Partially hydrolyzed polyacrylamide) is a polymer that is manufactured by Chemtex Speciality Limited to serve as a drilling mud chemical. As a high molecular weight polymer, it aids in controllingthe fluid loss and increases viscosity and reduces friction. 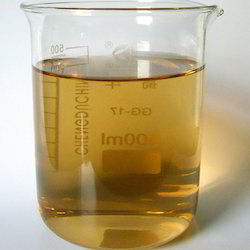 It can be used as a flocculant, dispersant, lubricant, blocking agent or fluid loss additive. Anionic Polyacrylamide is broadly used for industrial and municipal waste water treatment, for enhancing oil refining, also as pulp and paper additives. Polymer viscosifiers added to drilling fluids are intended at expanding the consistency of water, oil, and chemical based drilling liquids. It also enhances the emulsion stability. Chemtex Speciality Limited is an ISO 9001, ISO 14001 and OHSAS 18001 certified manufacturer and supplier of Drilling Mud Chemical. We have been in this field of chemicals for over a period of 40 years and we will continue to extend our services towards enriching the circadian operations of other industrial sectors. Anionic surfactants based high performance drilling foam generates stable foam with a wide application are os rock drilling, water well drilling, air and foam drilling. Looking for Oil Field Chemicals ?